Sometimes you just need a little bit of colour arranged in a fun way to make you smile. Are you ready for the easiest flower arrangement ever? 1 bouquet of colourful flowers - thanks Dianne! Put jars in box. Fill with water. 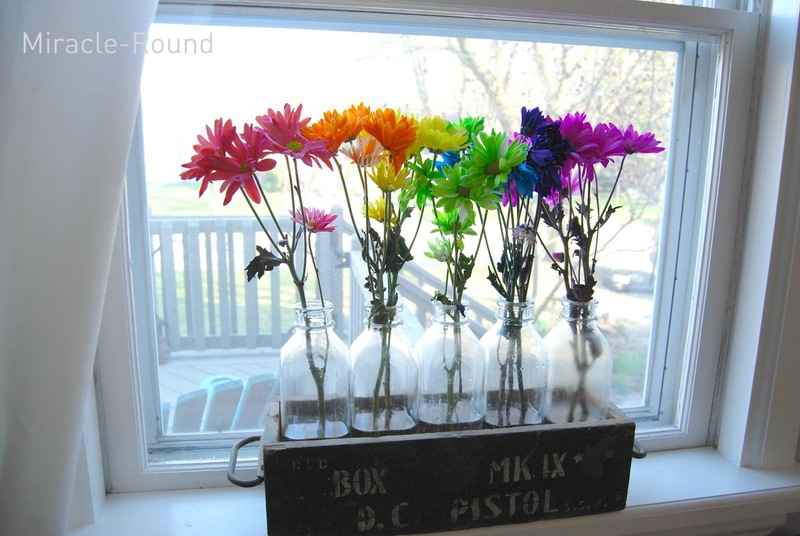 Arrange flowers in rainbow order. That's it. C'est tout fini.